We are not all that different… you city gals and us country gals. Many of us love a great glass of wine while we cook supper/dinner, we like spring flowers, we secretly appreciate having doors held open for us and generally being treated like a lady. Some of us are great cooks, some are amazing gardeners, many have a knack for shopping, while others shine at athletics, music or business. We all love a good massage and loathe being disrespected. 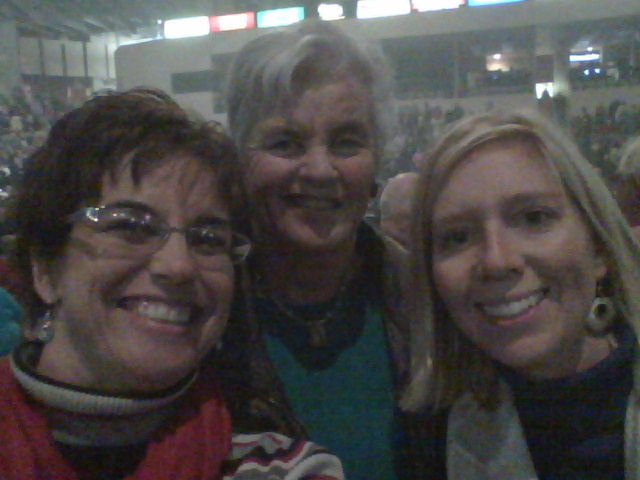 My Mom, sis-in-law, and I at a Manheim Steamroller concert; enjoying some culture! I know many of us farm and ranch gals blog about our various duties in our day to day lives that are vastly different from women who may live in the suburbs of a city or a fun downtown loft. 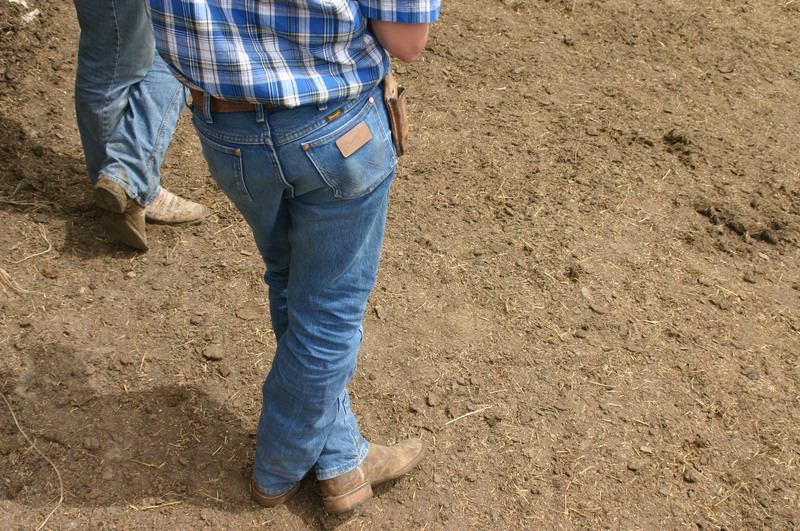 After all, how many one-bedroom flat owners get the pleasure of carrying buckets of grain as part of their daily workout or drain water hoses on cold nights after filling tanks, or even wash a couple of loads of laundry that contain manure-caked jeans after a day of working cattle? I am guessing few to none! However, when it comes to being a wife – we are all so, very, very much alike. We want our husband to be there when supper/dinner gets done, we want them to want to go on a day trip with us, we want to look good for them, and we most certainly want them to be fun and cheerful and not be stressed out! 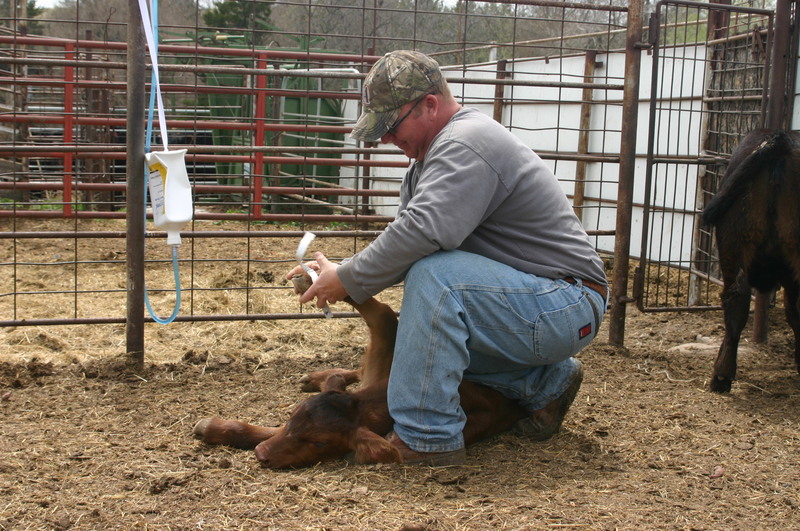 Matt using a measuring tape of the foot of a newborn calf to determine it’s birth weight. And yes – his jeans got very dirty on this day! I believe every strong and healthy marriage is made up of two people who consciously and constantly strive to please one another and make one another proud – and kiss a lot! 🙂 I also know that most husbands tend to appreciate a good meal; in our house, that meal will never, ever include tuna, cauliflower, or cold noodles and it will often contain beef, cheese, lettuce, and peanut butter (preferably in the form of peanut butter cookies or peanut butter pie). So – I enjoy spinach, cauliflower, and cold noodles when I visit other people or take something to a luncheon and we enjoy his menus at home. It works perfectly! And I believe most wives, early in their marriage, learn what and what not to fix for their life partner! I also think many of us wives, regardless if city-dweller or country-dweller, tend to set our expectations too high – only to be disappointed. As much as I would love for my husband (and I am sure many of you would, too) to be that smokin’ hot perfect guy we envision as we read the smutty romance novels that you can get for a couple of bucks on Amazon, he is not. Nor is anyone in real life – if you have one of those guys, please don’t tell me and ruin this for me! Real men are concerned with providing for their family, teach their children to pray, pray for their wives and their marriage, take their wives on dates just often enough to remind them that there is still some spark there and as stated previously, kiss their wives a lot! 🙂 Many of them have “their chair” in the living room, keep a lot of guy stuff around (guns, vehicles, tools, etc.) and hopefully will think to toss in a load of laundry now and then or empty the dishwasher (mine does – and yes, I consider myself very fortunate!). Most husbands are not romance novel hotties, but they are very, very good men who are absolutely smokin’ hot and very charming in their own ways! Not my husband, but a husband, none-the-less & Kaydee took this great picture – I just had to share. 🙂 His jeans ended up pretty dirty, too! I would like to think that city-wives and country-wives all make supper for their families on the nights when you aren’t living on concession food at a ball game or dining out. I would have to guess that a major difference is meal time – it is very common for us to eat at 8:30 or later. If we have supper at 6:00, it is some kind of very special occasion – or more likely – someone else has made plans for us! But still – supper happens and our bodies get nourished. And yes – a glass of wine should still be consumed during preparation! 🙂 And yes – I am sure many of us have had a new recipe turn out less than stellar. Call it “tuition.” Sometimes, you just know not to make something again – we’ve all been there! Regardless of where you live, life happens. And hopefully, if you are married, you get to be married to your best friend and soul mate. Type of work definitely offers different opportunity for humor and challenges and always creates need for lots of kisses at the beginning of the day and the end of the day. **If you are one of those extremely fortunate wives who gets to work with your husband, consider yourself blessed! My goodness – how fun to observe and enjoy the happenings of the day all throughout the day together. I once had a farmer ask me, since I work in town, how much my husband and I must miss each other throughout the day. His example was great! “What if you see a really neat different bird or something? Who do you show it to if your spouse isn’t there?” That guy might have been right up there close to the romance novel super star type guy! Regardless of where we live, being married takes work and commitment and lots and lots of prayer and kisses 🙂 Enjoy every precious minute with your spouse – if you chose them, they should be a blessing to you. 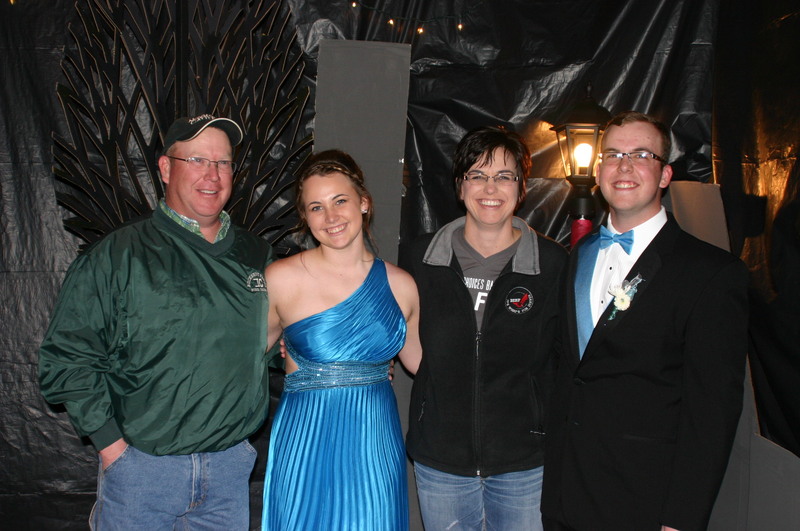 Being married and being parents…blessed!